A healthy and balanced diet is essential for good health. The human body needs regular nourishment in order to give optimal performance. Nutrition can be obtained from various sources as nature is abundant in providing our body will all the nutrients it needs. Incorporating vegetables into your diet plan routinely is the best way to boost your health. Plant-based foods are a great way to provide key nutrients to the body such as dietary fiber which helps build a stronger immune system. Eventually, the body is kept safe from various health disorders like heart disease, diabetes, and cancer when it is given a boost of healthy nutrients. Moreover, going meatless can be good for the environment as well in many ways. Vegetables are low-calorie foods that contain many minerals, vitamins, and other nutrients. They are good to include in low-carb diets because of their low carbohydrate and high fiber content. Almost all vegetables have benefits for your overall health although making the right choice is still very important. Low-carb vegetables are the best form of diet if you want to lose weight or boost your immune system. Some of the super vegetables to include in your vegetable diet plan are listed below. Broccoli comes from the cruciferous family of vegetables which also includes kale, cabbage, and radishes. Broccoli is a pack full of Vitamins C and K. It also helps reduce insulin resistance in diabetic patients and fights cancer. It contains digestive carbs that are easily absorbed by the body. Mushrooms have very few carbs and have anti-inflammatory properties. Mushrooms can be of great help for men with metabolic syndrome as they have antioxidant properties too. Spinach is a super leafy green vegetable which has numerous benefits for health. It is good for the heart, eye, and overall health as it is an excellent source of vitamins and minerals. The carbs contained in cooked may be concentrated as the leaves lose volume. Cauliflower is another low-carb vegetable known for its various health benefits. It can be used in replacement of potatoes, rice, and other foods that are high in carbohydrates. The nutrition values of cauliflower save us from heart disease and cancer as it contains Vitamin C and Vitamin K.
Garlic is consumed in considerably smaller quantities which cover up the high carbohydrate content. Garlic is good for decreasing blood pressure and boosting immunity. Cucumber is a refreshing vegetable known for its low-carb content. Cucumbers are not known for their vitamins or minerals as they only contain cucurbitacin E which is beneficial for overall health. Moreover, cucumbers have anti-cancer and anti-inflammatory properties which are a good reason to include them in your diet. Bell peppers, more commonly known as capsicums are known for their nutrition values. Capsicums have antioxidants which reduce the risk of heart disease, cancer, and oxidative damage of the cholesterol and fats. They are rich in Vitamin A providing most of the recommended daily intake. Lettuce is a source of certain vitamins that may help in decreasing heart disease risk. It has folate content which is another essential vitamin good for overall health. Avocadoes are a good choice for weight management plan as these are high in calories. They are rich in vitamin C, folate and potassium. Studies have shown that avocados can be really helpful for lowering LDL cholesterol. Weight watchers consume this vegetable to remain full for longer time. Asparagus is a spring vegetable containing Vitamins A, K, and C. It is known to reduce anxiety, improve brain health and stop the growth of cancer. Tomatoes are technically known as fruits which are otherwise consumed as vegetables just like avocados. Tomatoes have impressive benefits for boosting overall health as they are rich in Vitamins A, C, and K. They also contain potassium and may reduce cancer and heart disease risk. 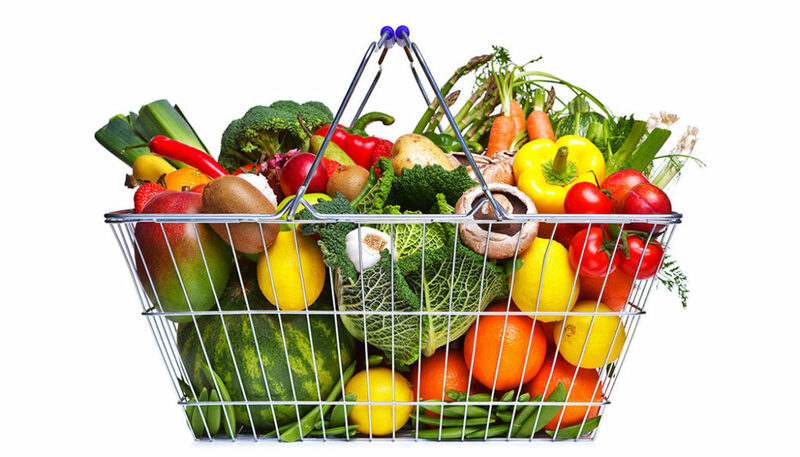 How to Choose the Right Vegetable Diet Plan? A vegetable diet plan should balance out nutrition according to the body’s daily requirement. It is therefore important to choose the right vegetables containing carbs, protein, iron, potassium, folate, fiber and other minerals to keep the body’s performance optimal. Vegetables are mostly low in calories and fat content which makes them a healthy food option. So, what are the vegetables that you should include in your diet plan? Make sure that the leafy green vegetables and cruciferous vegetables top your list of items as they are packed full of nutrients. You should never deprive your body of the essential nutrients especially if you are planning a weight loss diet. Most of the vegetables are low in calories and will no harm if consumed regularly. In fact, vegetables are a better option than meat as they may replace the nutritional values in a much better way. 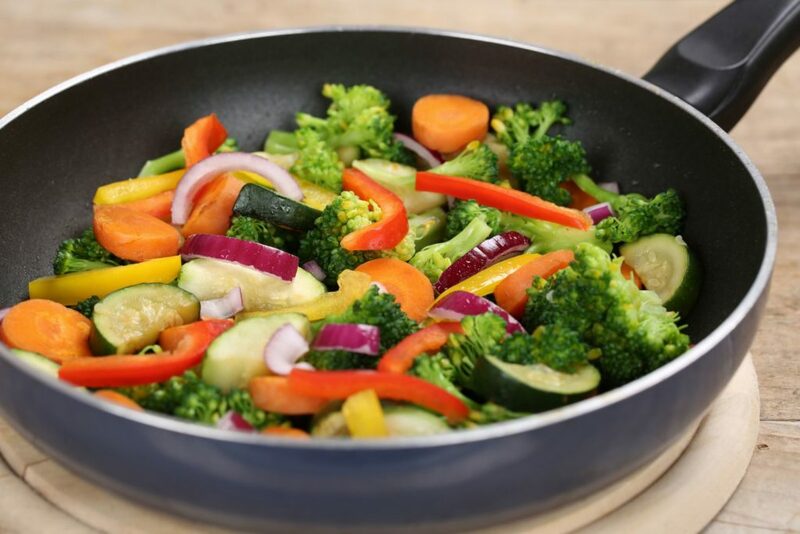 Although meat contains more protein which aids in losing fats, vegetables are not far behind in the run as they may help individuals to achieve their targets in many other ways. The cruciferous vegetable family contains the highest amount of protein and can become an alternative for meat although the values may still be lower. This family includes all the Brussels sprouts, cabbage, cauliflower, and broccoli. They are a combination of packed fiber, protein, and low-calorie content and can be the ideal food for a diet plan. Potatoes, for instance, can be highly beneficial for optimal health if cooked the right way. They contain a bit of everything you need on your diet plan and so they can serve to be the optimal choice too. Potatoes also have high potassium content which the human needs for lowering blood pressure in case it is high. Overall, the human body needs all nutrients for different purposes and so a balanced diet’s importance must be fully acknowledged. Now, coming to the way these highly nutritious vegetables should be incorporated into your diet. There are a variety of recipes of vegetables in different cuisines which give different flavors in different forms. However, some people also like having raw vegetables in form of a salad. Although there is no harm in making out your favorite dish from vegetables, you will only be able to make maximum benefit of the nutrition provided they are raw or lightly cooked. Even the boiled form can be a good option for getting nutrition intact as they are not cooked much. Nature has been so kind to us that it gives us everything for health maintenance. It’s only us who do not make use of the blessings bestowed upon us. What is the wait for then? Search for your favorite recipes and try making some delicious dishes out of your favorite vegetable now. Soups, Salads, Stews, Curry, or any form of vegetable rice. There are so many options to opt for. Even boiled potatoes taste scrumptious in salads dressed with thousand island sauce. All in all, there are countless options to add up vegetables in different ways to your diet plan. Make sure to include a balance of everything in a routine so as to get optimal nutrition from the vegetables you choose. Also, you can make a chart of the nutritional values each vegetable has so it can be easier for you to know what will balance the meal with all that you need. What makes Ketogenic Diet so Famous? Why are Pilates so Popular? Know the Health Benefits and Decide What’s Best for You!